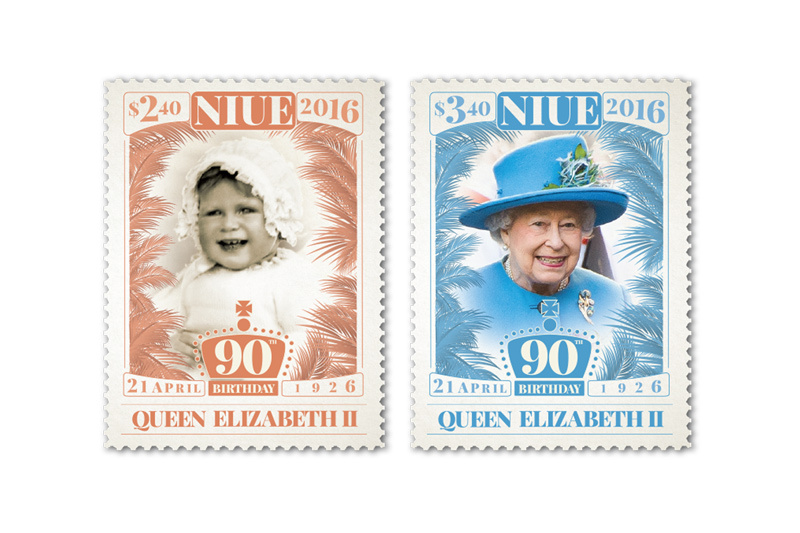 On 21 April 2016 Queen Elizabeth II celebrated her 90th birthday. 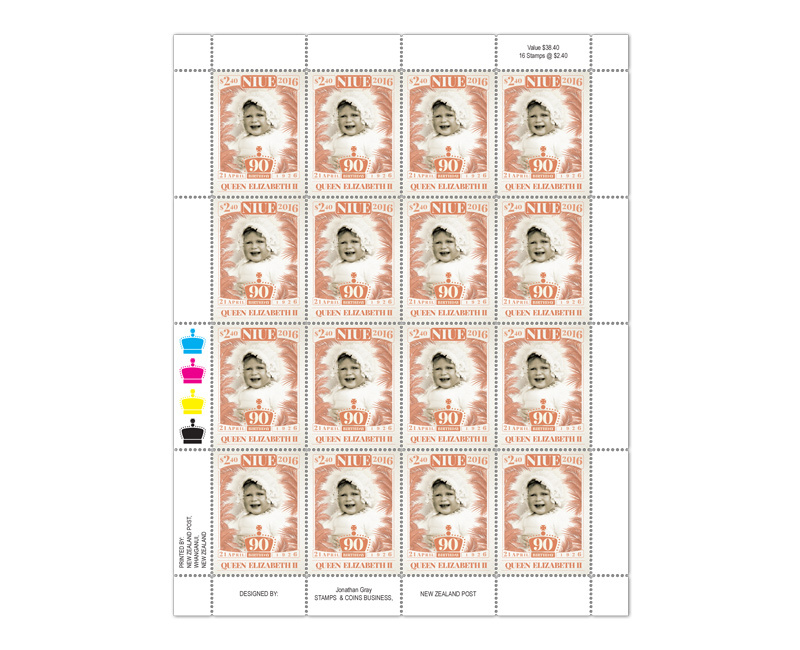 This special stamp issue pays tribute to the longevity of her life and reign. 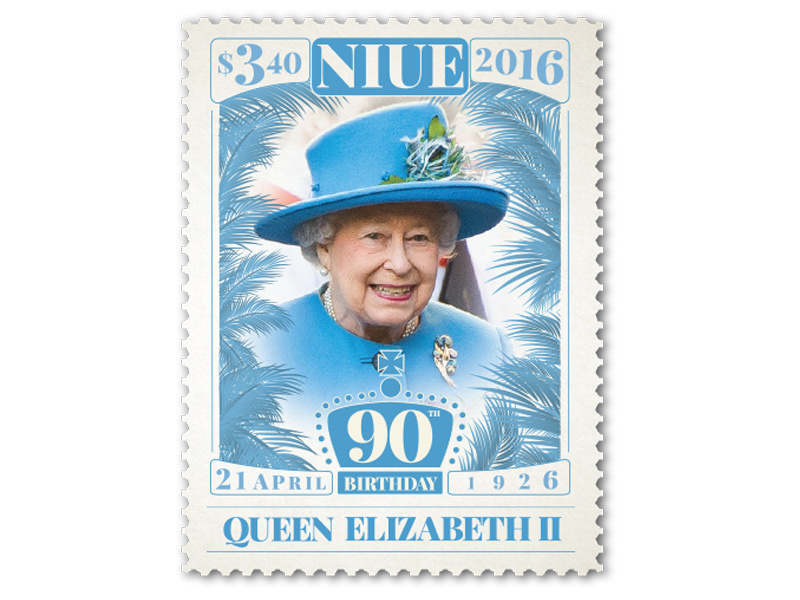 As Niue has a free association with New Zealand and Niueans are New Zealand citizens, Queen Elizabeth II is Niue’s head of state. 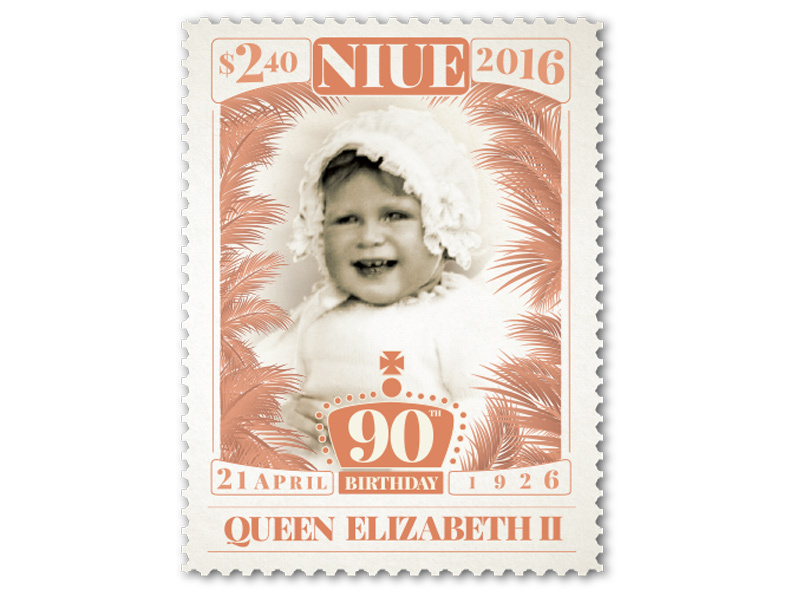 Queen Elizabeth II was born Princess Elizabeth Alexandra Mary to the Duke and Duchess of York (later King George VI and the Queen Mother) on 21 April 1926 and has been Queen of the United Kingdom and Commonwealth realms since 6 February 1952. 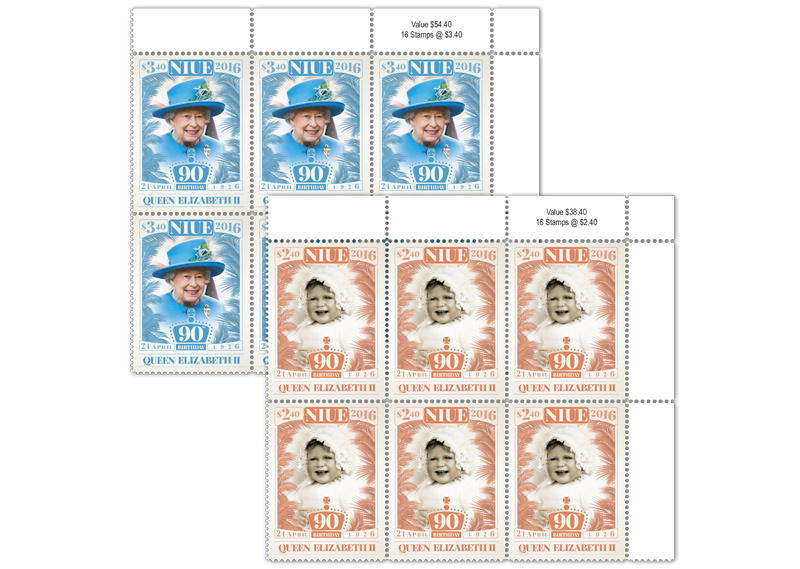 This regal two-stamp issue features a photograph of Queen Elizabeth II on each stamp - one of Her Majesty as a baby and the other a more recent photo taken in March 2016. 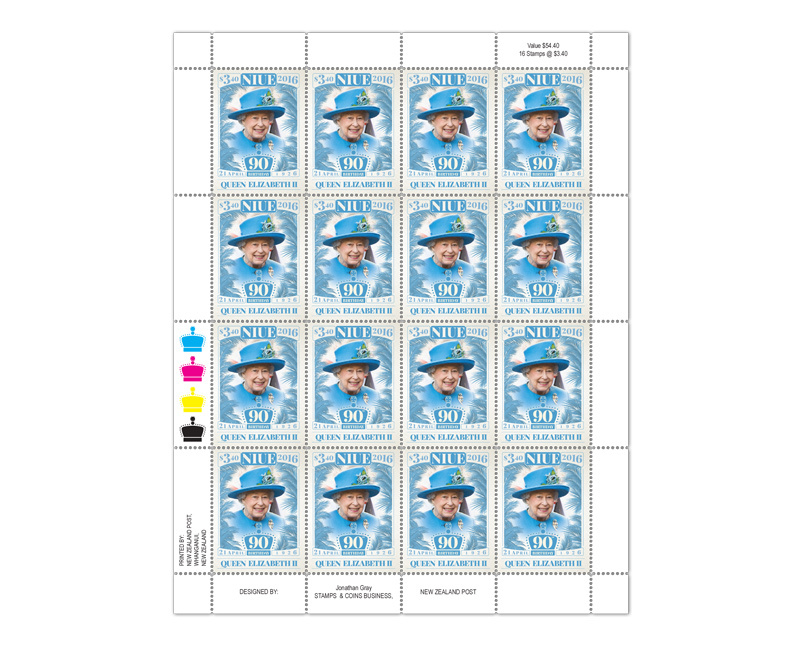 When Princess Elizabeth was born, she was third in line to the throne, behind her uncle Edward, Prince of Wales and her father, the Duke of York. She became heir apparent when her uncle, then King Edward VIII, abdicated the throne and her father became King George VI. She married Philip, Duke of Edinburgh, in 1947 and gave birth to Prince Charles in 1948 and Anne, Princess Royal in 1950 before her accession to the throne in 1952. 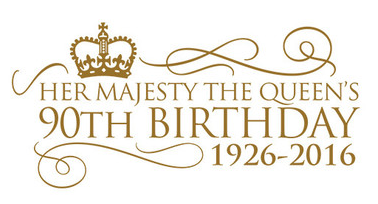 Upon the death of King George VI in 1952, Elizabeth ascended the throne and became Queen Elizabeth II. 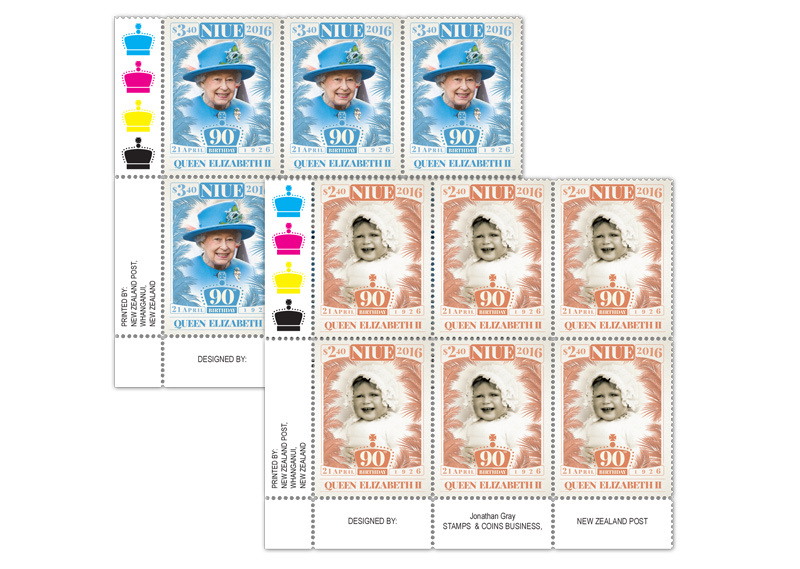 In the following years she had two more sons, Prince Andrew in 1960 and Prince Edward in 1964. During her reign she has achieved a number of impressive milestones, including being the longest-lived sovereign since her 81st birthday in 2007, being the monarch with the longest marriage and becoming Britain’s longest- reigning monarch in 2015. 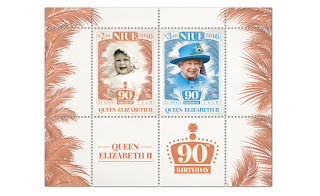 As Queen she has travelled to more than 110 countries during more than 250 international tours and visits.